Elderly people need specialised rehabilitation in order to maintain as long as possible their independence and mobility. An elderly person who does not move, does not walk or sees no one for too long is a person who stiffens mentally and physically. It is therefore important to help them move as long as possible, for circulatory, musculoskeletal, joint or psychological reasons. The movement is the key to successful and non aching aging. On the contrary to popular belief, the more one moves the less it hurts. Moreover, as therapists, we never let aside the psychological support during the sessions because it is important to stimulate the mind as well as the body in order to avoid the appearance of symptoms such as fear or depression that may limit and slow down the process of rehabilitation. Some seniors prefer staying at home as long as possible while some other prefer going to nursing and care homes. Whatever your choice is, LHVP physiotherapists will be able to provide you with the most appropriate care as they move anywhere in London to come to you, whether you need help to walk, a mobilisation when you have to stay in bed, a therapy massage or a post operative rehabilitation after a hip or knee replacement for example. 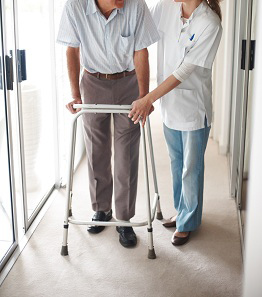 As treatments are being held at home, it helps to develop rehabilitation protocols suitable to the place the person lives and also teach seniors efficient and safe transfers and moves. We also treat women who suffer from incontinence, prolapse, loss of sexual sensation and pelvic pain due to age or any other causes. Finaly offer soft exercises and fitness classes tailored to keep joints flexible , muscles toned and a good physical and mental shape. It is common for elderly people to develop difficulties walking. It can appear insidiously with the person walking a bit less every day or after an important traumatism (often a fall or a hospitalisation). In both cases, the patient develops a Psychomotor Regression Syndrome (PRS). It is a complex term meaning that the systems and mechanisms affected in postural and walking automatisms are impaired. This syndrome is composed of motor symptoms and psychological disorder. At London Home Visit Physiotherapy, we have specialists with experience in treating patients with Psychomotor Regression Syndrome. 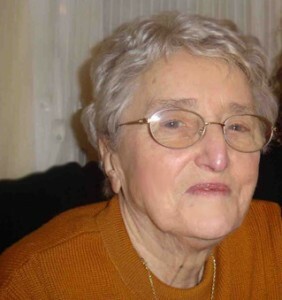 We are able to arrange home visits within London or visits in any home care facility. When necessary we also organise care and administrative duties with family members. Our first aim is to break this vicious circle by promoting movement and helping the person to go back to normal activity and even develop new hobbies. The first step of our approach is as always to understand our patients and their situation. To do so, we use a variety of evidence based tests to evaluate the level of impairment of the walk and different posture. Then, we will develop a treatment plan in accordance with the patient expectations. Work on the change of position to teach the easy and safe way to stand up, sit down, and lie down.